Called Nala, the rescue Labrador’s owner was Argentine footballer Emiliano Sala, who late on Thursday was confirmed dead after he went missing over the English Channel last month when the plane he was traveling in to join his new club Cardiff City disappeared. 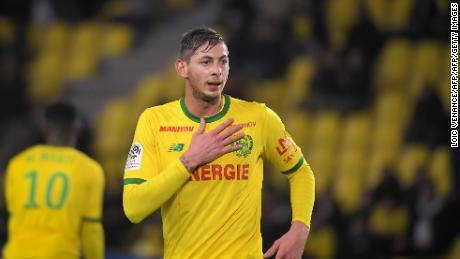 Sala had recently been sold by French club FC Nantes to the Premier League club. 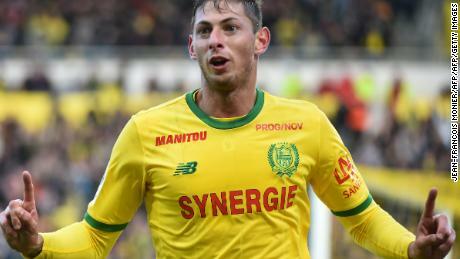 And yet, as Sala’s family waited for that news — they told CNN Sport they didn’t want to talk at the moment — Ligue 1 team Nantes has reportedly demanded that English Premier League club Cardiff start paying the $19.3 million transfer fee for the Argentine footballer. FIFA didn’t respond to CNN’s request for comment. Football might be as much about business as it is about sport, but for many in Brittany and the small town of Carquefou near Nantes that the 28-year-old had called home since moving in 2015, as well as for many more back in his native Argentina, Sala is still a friend, a brother and a son. English and French football have two transfer windows — during the summer months of June, July and August and in January. The January window allows clubs fighting relegation or battling for titles the opportunity to redress potential weaknesses in their player squad. Cardiff is fighting relegation from the Premier League and had targeted Sala in the hope his ability to score goals would keep them in England’s top flight. So while the wheels turned in the globalized and ultra-liberal world football and its multibmillion dollar deals and commissions in players transfers, it was left to members of the public and footballers, including French World Cup winner Kylian Mbappe, to raise the money necessary to begin the search for the plane Sala had been in as he flew from France to Wales. The GoFundMe appeal raised €200,000 ($227,000) in one day thanks to donations from all over the world, eventually reaching a total of €371,000 ($421,000). Within hours of the search beginning, marine scientist and oceanographer David Mearns, known as “The Shipwreck Hunter,” and his team of experts had identified the plane by sonar. As grainy photos of the broken fuselage were released to the public it was subsequently confirmed, thanks to the use of a submersible camera, that there was one body in the wreckage. That body was later identified as Sala’s. During 2018, spending on commissions paid to intermediaries or agents increased to $548 million, according to FIFA. Between 2013 and 2018 a total of $2.14 billion has gone into the pockets of agents. Three years ago, FIFA abolished the license for agents or intermediaries. “When the deregulation happened and the intermediaries, should we say, took place of the FIFA agent, at that point there was a requirement by the clubs to ask how many agents are in the line, who’s getting paid here,” English FA intermediary Michael di Stefano told CNN Sport. “And at that point you have to tell them where the money’s going to go — and that’s progress. “Before I used to work with this Italian agent when I was first starting out and trying to understand, you know how it all works, and he was one of the Calciopoli agents, one of the people that did the match fixing in Italy. Sala’s ill-fated move from Nantes to Cardiff City provides an insight into just how cutthroat the world of football transfers can be. 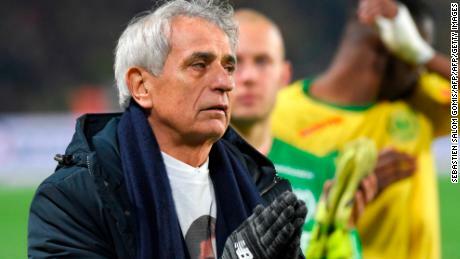 Willie McKay and his son Mark had been given a mandate by Nantes to seek a buying club for Sala, whose personal agent is Meissa N’Diaye. Another agent Baba Drame has posted content on Instagram about his involvement in Sala’s transfer. None of those agents responded to CNN Sport’s request for comment or would speak on the record. “The agents, fundamentally, I mean they’ll be on a fixed fee,” added Di Stefano. “If the price was to rise from the initial £15 million ($19 million), 16 up to 30, that would be based on achievement, and the player’s achievement. Sala’s agent Ndiaye will be compensated with a fee indexed on the 3.5 year contract and the player’s wages. As the McKays were given the mandate for the player they’re likely to get 10% of the $19 million transfer fee — $1.9 million. 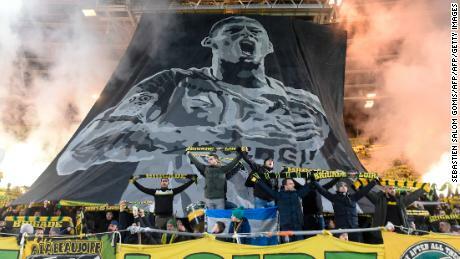 Sala had started the season for Nantes in scintillating form, scoring 12 goals in 15 matches — a record equaled only by PSG superstar Kylian Mbappe — but had just 18 months left to run on his contract. “I always thought he was a scruffy type of player who would score 10 to 15 goals every year at the top level,” Cardiff manager Neil Warnock said in tribute to the 28-year-old, who played for Bordeaux before joining Nantes in 2015. “He was a Neil Warnock type of player. Someone who works hard as a team player, but can also do something special. He wasn’t a young kid, he was at his prime, but he knew he had things to prove. “He’d been in a comfort zone in France, but had improved every few years and was ready to make that step up. Sala was unsure about the move at first but, in emails released by Willie McKay to French newspaper L’Equipe in an attempt to clarify his position in the deal, was convinced Cardiff could be a stepping stone to mega clubs like Manchester United, Liverpool or Chelsea. 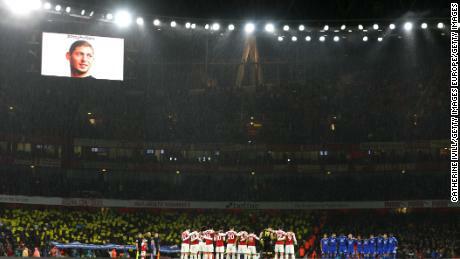 The truth, however, was that no other British club was interested. McKay eventually admitted as much to Sala in one of the emails. McKay told Sala of several — “more than 600” — multimillion dollars deals he and his son had worked on. In all likelihood the chances of Sala being contracted by one of the biggest clubs in England were remote but the forward still maintained his dream of playing in European club competition. Less than two months after Nantes issued the McKays with the mandate, Sala had flown to Cardiff and signed a three-and-a-half year deal. A source with knowledge of the transfer confirmed the details of the story first published by L’Equipe detailing an email exchange between the player and the McKays. Willie McKay has only released his side of the email conversation. Any correspondence from Sala has not been released. Soon afterward Sala and Ibbotson then took the doomed flight from Nantes to Cardiff, but which would end prematurely above the Channel Islands. In his emails to L’Equipe, McKay reveals he made arrangements for the private jet so Sala could return to Nantes to say his goodbyes. “[We will] put a jet at your disposal tonight or tomorrow to come to pick you up, you and anyone else you want to bring,” the email read. However, McKay’s regular pilot, Dave Henderson, was unavailable and Henderson instead put forward Ibbotson as well as paying for the fuel and landing fees. 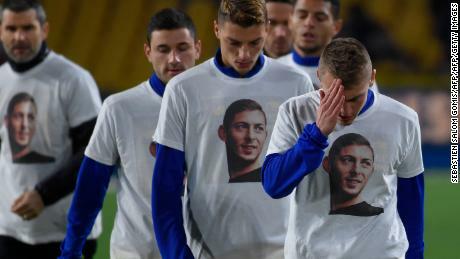 Sala’s passing has been mourned across the footballing world by those who knew and loved him, and by those who were so desperate to know him and love him. In Nantes and Cardiff, two sets of supporters united in grief for a man who was about to make the largest step of his career. 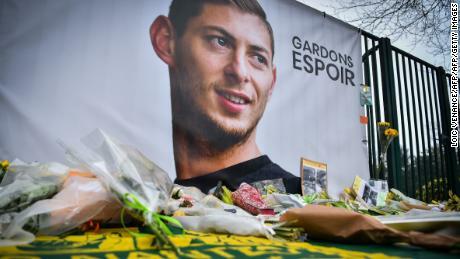 “Arriving on the banks of the Edre in July 2015, Emiliano Sala has won the hearts of Nantes’ supporters,” Nantes said in tribute to the player Friday. “Through his work, his fight and his limitless kindness, he has ended as the Yellow Shirts’ best striker during the last three seasons.